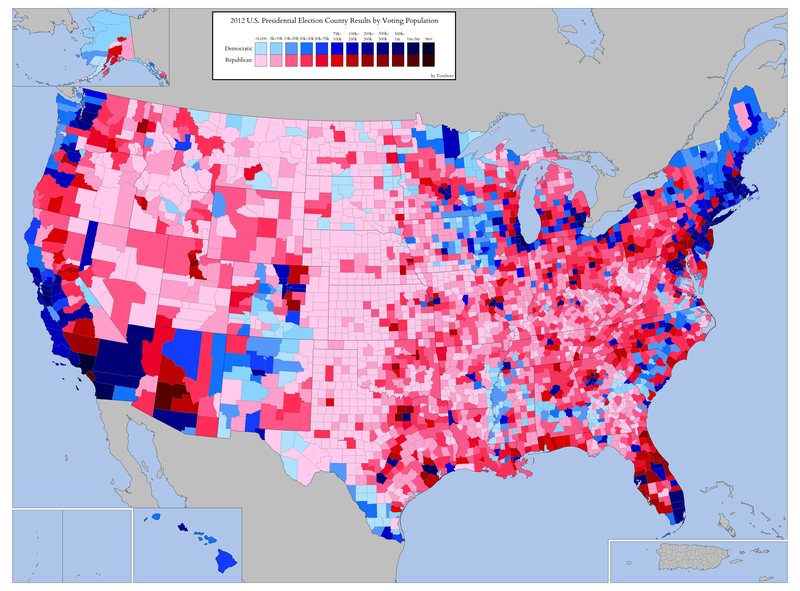 A fairly simple concept, here are the results of the 2012 U.S. Presidential Election by county, colored by population and which political party carried that county. Numbers are in total votes so as to give a good idea of where overall numbers of voters are, not just the population of voters of the winning party in each county. Alaska, with results not available on a per borough basis, has its results sorted by the total population of the boroughs rather than voting population. I hope you all enjoy and are able to get a good idea of voter concentration throughout the United States.